Our Ellis Army: A Freebie and a Giveaway! Do you have a preschooler and an iPad or iPhone? Then Agnitus is the app for you! 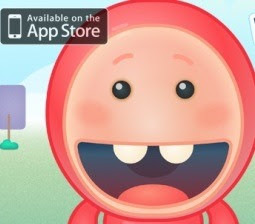 It is, in my opinion, the best preschool app by far and best of all...IT'S FREE! To unlock the full free version, you only have to post about it on your Facebook wall! They even email you a weekly report. Tristan loves playing his "school game." Download the app while you're at it. You won't be sorry!